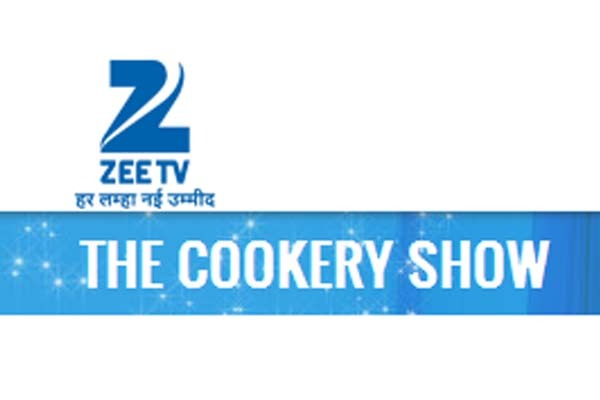 The Cookery Show – ZEE TV is all set to launch it’s all new brand show for food lovers who loves to cook the food in new way and wants to show their cooking talent to the world and accepting online registration form before the auditions. As the show is based on food cooking to adhere to it in mind show producer decided the show name “The Cookery Show” which audition will be start soon however you can register online through the official website of Zee TV which link is given below and can confirm your seat for the audition. So whether you are a home cook, a food lover, a chef or a food expert, register and participate in the show which will be judged by the best chefs of the country! Here on this page I am going to tell you how you can register for Zee TV’s “The Cookery Show” online via registration form through the official website of Zee TV and other important details such as who can participate and age limit criteria registration link of the official site is give below. How & Where to Register for Zee TV – The Cookery Show Online? After clicking on it you will see the registration form where you have to fill following details. Name, Date of birth, Gender, Address, City, State, Pin Code, Mobile, Email etc. And have to give 3 simple question answers in Yes or No. Fill the verification code and submit the form that’s it. Before Filling the form don’t forget to read the detail term and condition of the show which you could find on the official website of Zee TV or can read them here. The purpose of sharing these term and condition to save your time and provide you complete information on a single page. You can also register via SMS or a simple call to know the detail information click on “Zee TV The Cookery Show Contact Number Detail“. These terms and conditions govern the application for participation in the cooking show being produced by Zee Entertainment Enterprises Limited (hereinafter referred to as “ZEE”)2. Application/Participation is restricted to Indian Citizens and/or to foreign nationals who have completed 18 years of age as on the date of the application, provided in case of an applicant being a foreign national, such applicant represents that he/she has requisite permissions, authorizations, VISA etc as may be deemed necessary under applicable laws. If you have any query regarding or suggestion regarding this post please get in touch via below comment box and don’t forget to share it. My name is Ayush Shukla, from Rajkot city. I am trying to apply for the cookery show from last 03-04 days but can’t. even the cell numbers provided are switched off. i want to register my sef for the cookery show. Please help me. the registration process is available onlne you can fill your form as well.